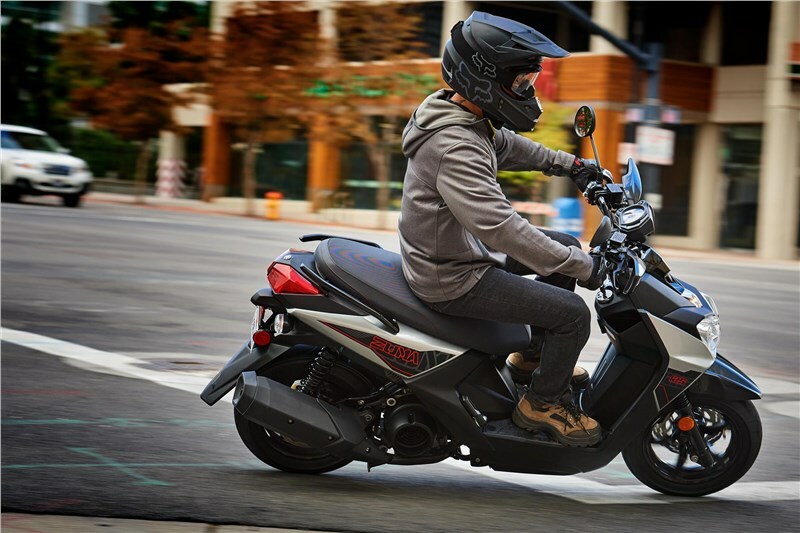 Powering the Zuma is a compact 125cc 4-stroke engine with 4 valves, a 10:1 compression ratio, ceramic-composite cylinder liner, and electronic fuel injection—giving this scooter modern reliability and economical performance. 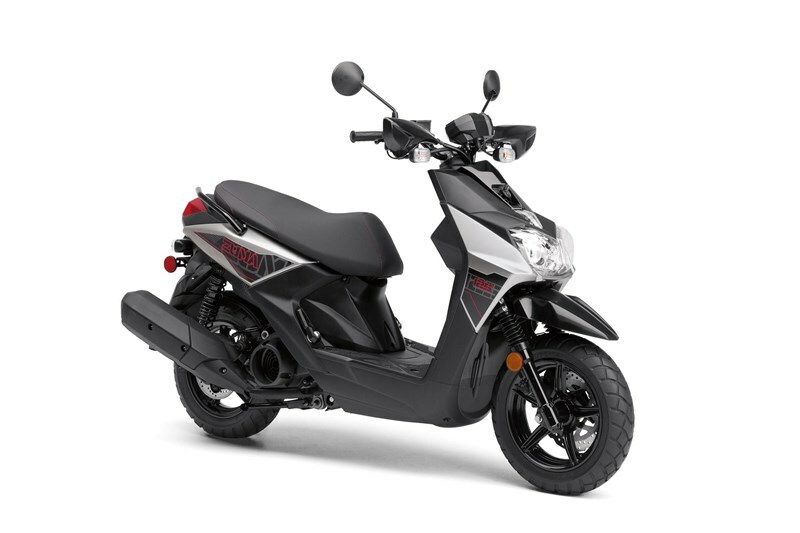 With an amazing 103 mpg* and a 1.7- gallon fuel tank, you get plenty of range, too. There’s room for two atop the Zuma’s seat, and lots of locking storage beneath it. The step-through floorboards making getting on and off a breeze, too. 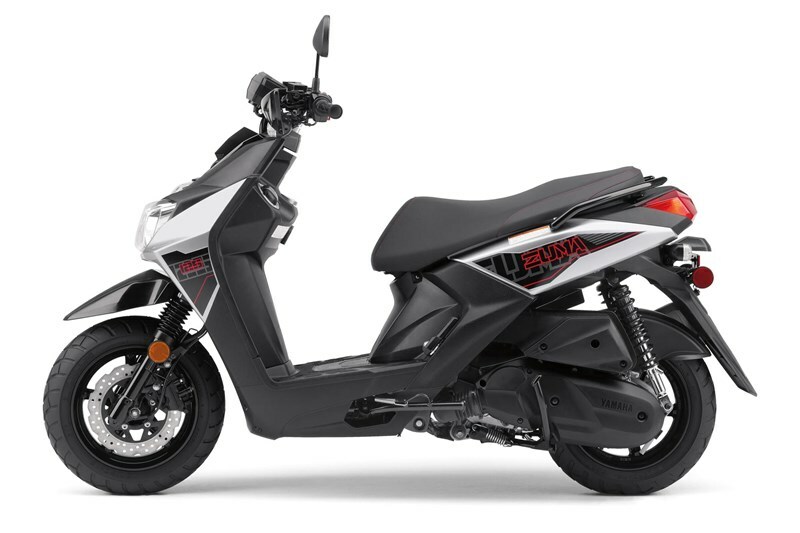 Zuma 125’s fuel-injected, 125cc single cylinder, 4-stroke engine pumps out lots of power for its size, using an SOHC 4-valve head with 10:1 compression ratio and ceramic-composite cylinder plating. Fuel injection provides the optimal fuel mixture for varying conditions, and that means easy cold starts, too. Pushbutton electric starting makes the Zuma 125 super-convenient for transportation. For reliability and easy maintenance, simple wet-sump lubrication is used. Forced air cooling system helps keep engine temperatures under control, even while idling at stoplights, for maximum efficiency and longer engine life. 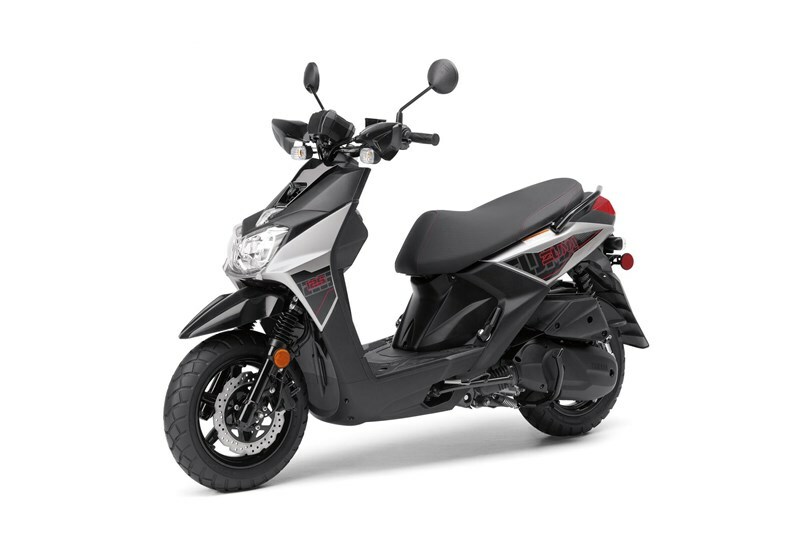 Fully automatic, V-belt transmission with centrifugal clutch provides easy, twist-the-throttle-and-go operation with great off-the-line acceleration. Oiled-paper type air filter helps trap dirt before it gets to your engine, even when riding on unpaved roads. 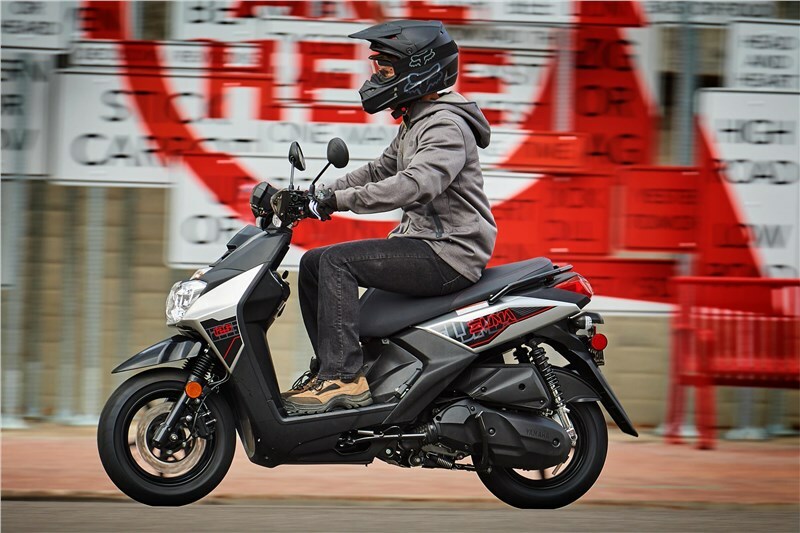 The V-belt housing has its own off-road-style wet-foam air filter for durability. Upswept muffler incorporates exhaust catalyst technology to reduce air pollution and meet emission regulations. Robust steel-tube frame is light but strong, and features a step-through design for easy mounting. A two-stage electrostatic painting process provides a durable, corrosion-resistant finish. Telescopic fork features beefy outer tubes for strength, while fork boots help protect the large 33mm inner tubes from debris. 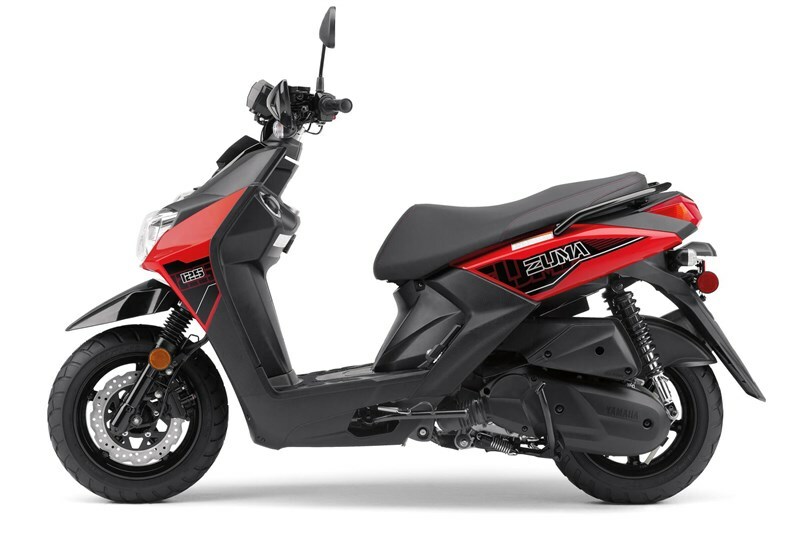 The swingarm features twin rear shocks with a full 3.1 in of travel for riding comfort on the street and unpaved roads, too. Fuel tank holds 1.7 gallons for plenty of cruising range. Fuel tank emissions system includes a charcoal canister to control gasoline evaporation and reduce air pollution. Fat 120/70-12 front and 130/70-12 rear tires have an aggressive looking block pattern for great handling on unpaved roads and on the street. Tires run on lightweight five-spoke die-cast aluminum wheels. 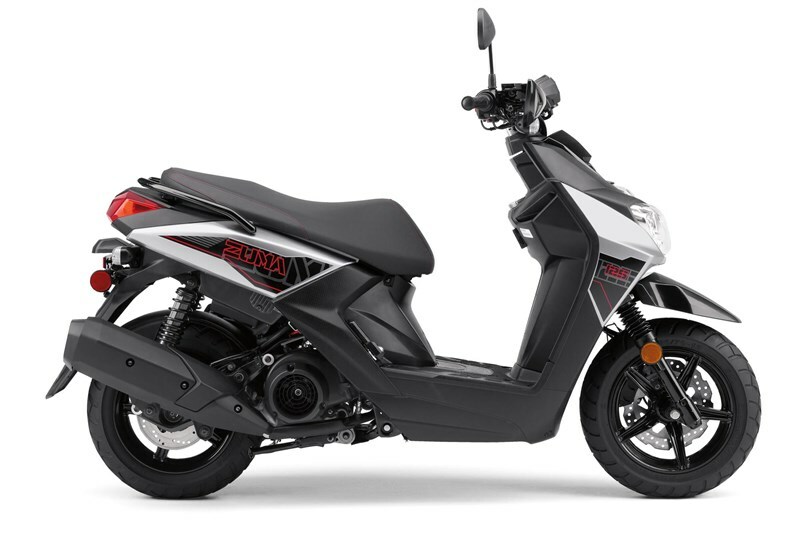 245mm hydraulic front disc and 200mm rear disc brakes provide plenty of stopping power, while the wave-type front rotor design adds cutting-edge style. 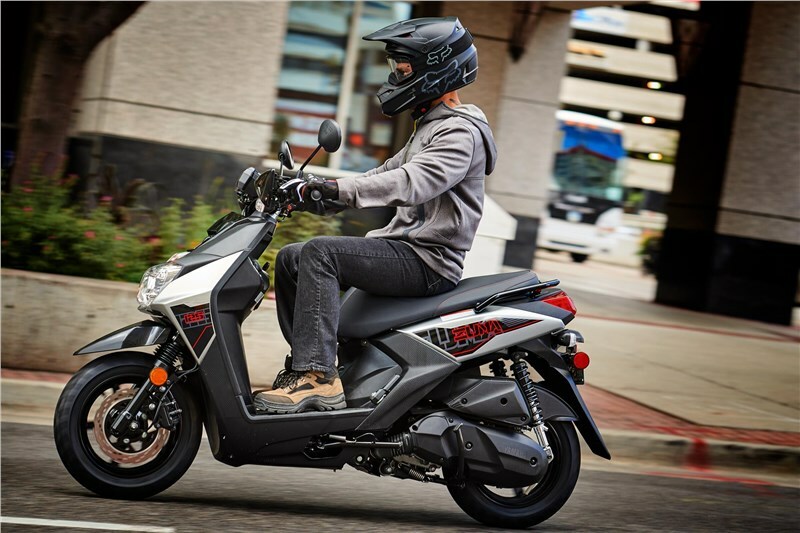 A plush and roomy riding position is ready for two, with a narrow seat design for easier flat-footing at stops, and plenty of leg space in front of the rider’s seat. 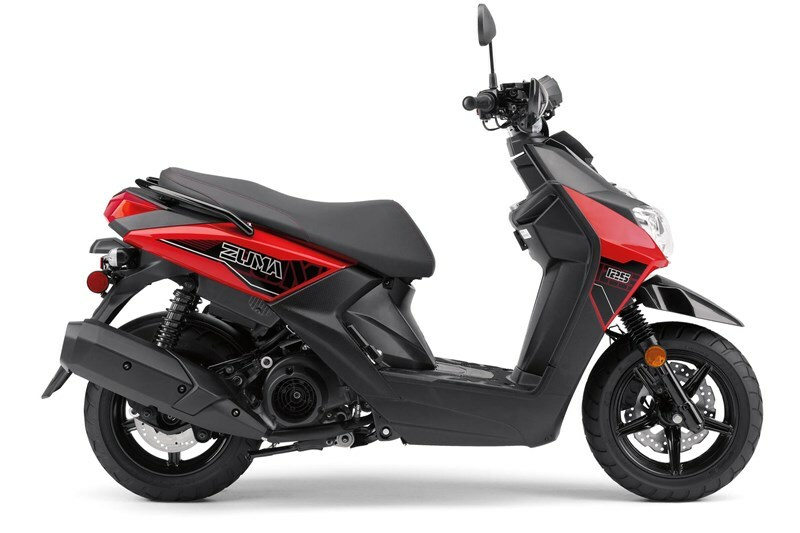 Meanwhile, the passenger gets secure handholds that blend cleanly into the Zuma 125’s body design.